LPDA-A0096 is a collapsible wire elements wideband log-periodic dipole array antenna for 100 - 500 MHz and power handling of 200W with a typical gain of 6 dBi. The patented wire construction of the LPDA-A0096 log periodic antenna makes it lightweight and allows for very compact storage. It is easy to collapse the antenna and break off any accumulated ice. All antenna elements are permanently attached to the boom, preventing any parts from becoming lost in the field. Polarization is adjustable between vertical and horizontal via the mounting bracket. 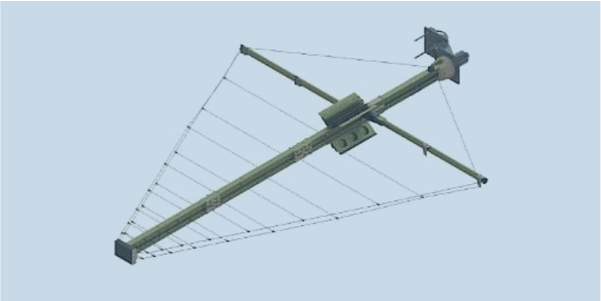 Our selection of tactical masts are ideal for quickly deploying this antenna in the field.